Howdy! Crystal here trying out a new technique. Water coloring with Quick Quotes PowderPuff Chalk Inks! This is a fairly simple project. All you need is your Powderpuff Chalk Inks, brush and water coloring paper. 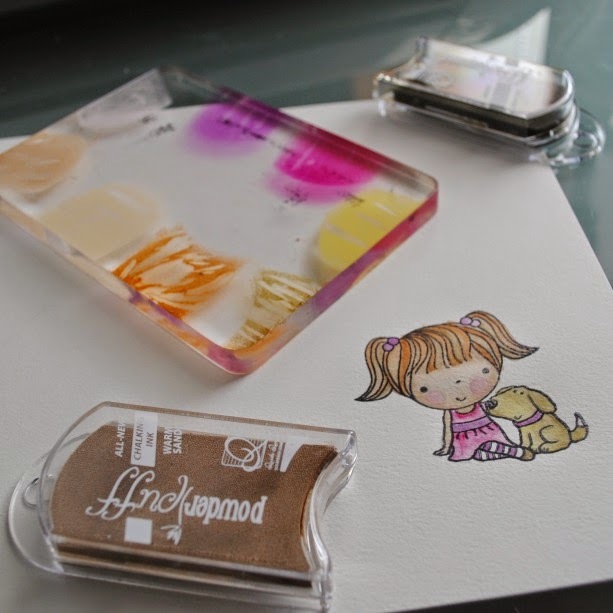 Step 1: Stamp your image on water color paper with Archival Ink. 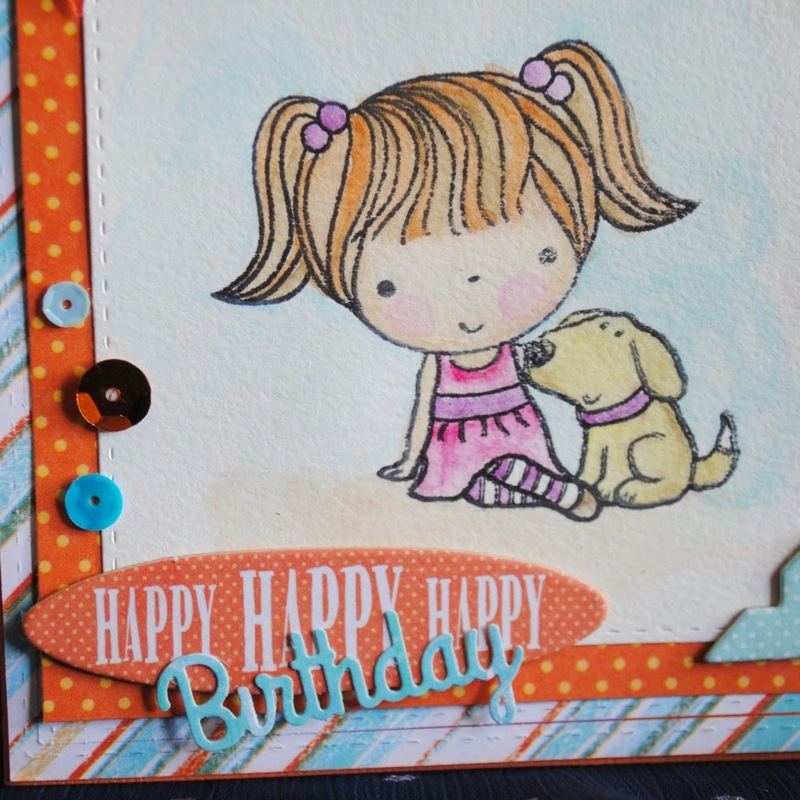 Step 2: Stamp your desired colors onto a stamping acrylic block. Items to note: Using more water will lighten your color. The chalking inks will not dry very fast on the acrylic block, making this an easy way to color and blend. Acrylic block used as a palette with PowderPuff Chalking Ink. I combined this image with the beautiful Catalina Island Paper Collection and Catalina Island Chipboard Die Cuts. Catalina Island Paper cut with various dies. Catalina Island chipboard die cuts. 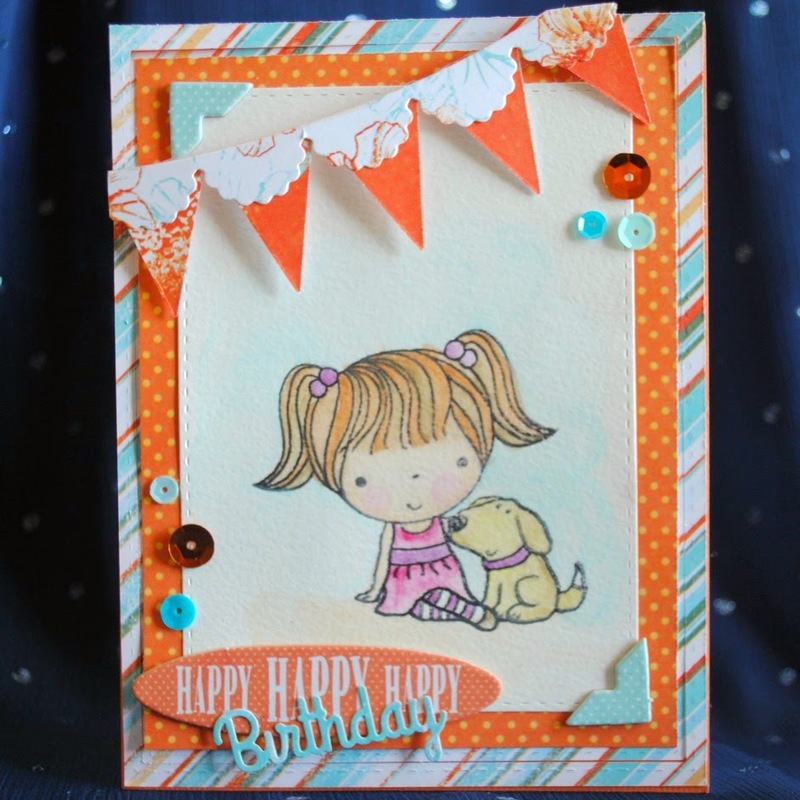 I had a great time making this card and the color combination provided by Quick Quotes made this card super easy! 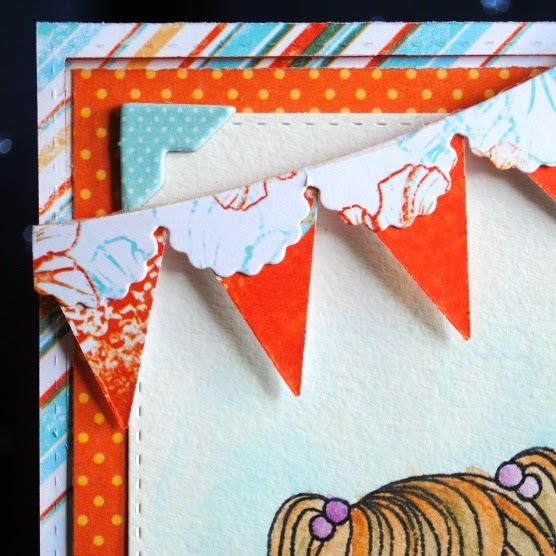 OMG Crystal I love your card and thank you for sharing the tip about the inks. Now I can use our Powderpuffs in on other way.